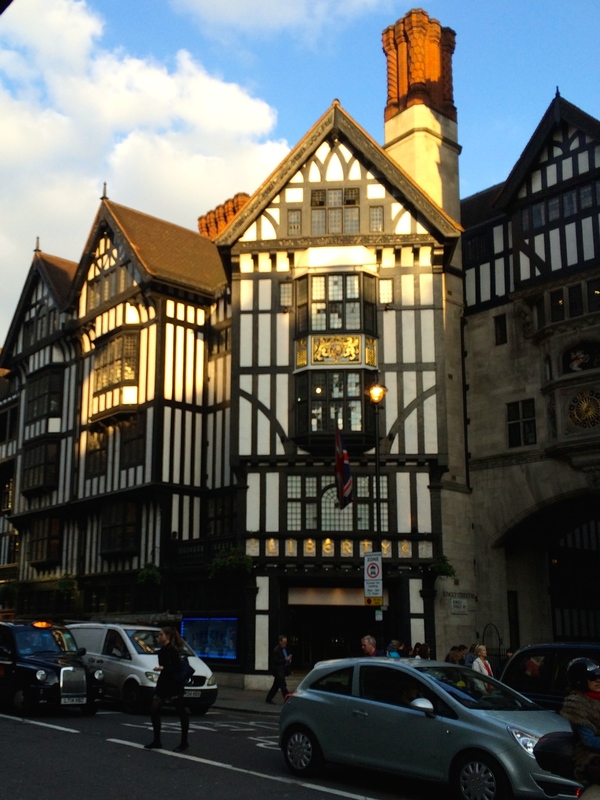 Last month, I was lucky enough to travel to the UK for 16 days. 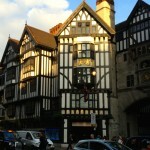 I went to visit a dear friend I’ve known since we were 11 and had a wonderful time in London, Bath and Windsor. 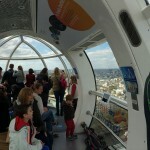 London Eye – Between its millennium hype and my fear of heights, I wasn’t expecting to enjoy this half-hour ride as much as I did. The views were fantastic, and the ride wasn’t scary at all. I would recommend it to any London visitor. 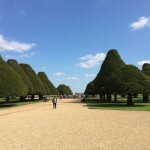 Hampton Court Palace – Two palaces in one! 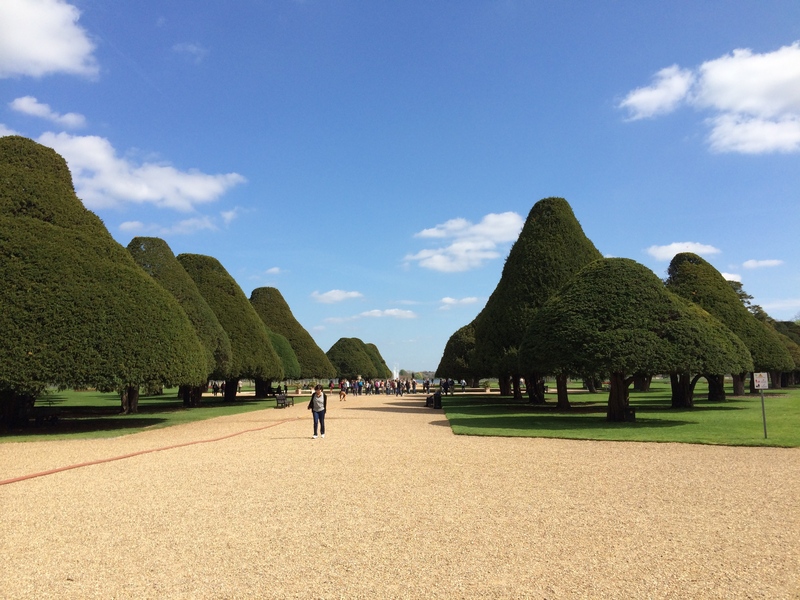 Besides the Tudor and Baroque styles, there are lovely English gardens, featuring Alice in Wonderland-style trees. The Tate Modern – Besides the amazing art that lives in this museum full-time, I saw Henri Matisse: The Cut-Outs, which was a fascinating look at his original art and how it transferred to many media, including books, magazine covers and even stained glass. The Crown Jewels – There is an escalator-style people-mover that takes you past the gems; I rode it three times. Liberty – More on this later, but this beautiful department store had me at “amazing woodwork” and continued to woo me with its impressive collection of fabrics, fashion and homewares. In the interest of brevity, I’ll cut my list of London loves off here. Next up, Eye-Catching London. This entry was posted in Travel and tagged fun, readysetgo, travel. Bookmark the permalink.